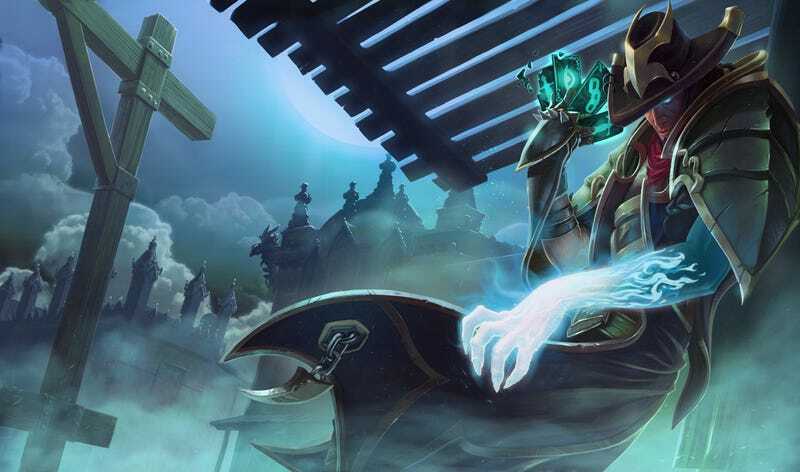 Last night, Riot put out an update about the status of several high-profile League of Legends players who’ve been suspended or banned from the game due to their toxic behavior. Buried in the details was an interesting detail: in an unprecedented move, one player’s permaban from competitive play was removed entirely. The permaban in question was for Nicolaj “Incarnation” Jensen, a highly skilled League player who was issued a lifetime ruling at the beginning of 2013. The charges Riot brought against him were severe. As they detailed in the original 2013 ruling, Jensen had “a consistent record of in-game harassment, abuse, and poor behavior.” In addition to his general toxicity, the report said, Incarnation also regularly cheated in competitive League games by using DDoS attacks against his opponents—effectively forcing these players to disconnect from the game and thus leave their team in a uniquely vulnerable and disadvantaged position. He also “publicly and unapologetically admitted” to using DDoS attacks to his benefit. Beginning May 11th, Jensen will be “eligible to play in Riot-affiliated League of Legends tournaments,” the report concluded. Not every League of Legends tournament is “Riot-affiliated.” But since all the biggest and most lucrative ones held every year are, you pretty much have to be able to play in them if you want to be on a serious eSports team. Allowing Jensen back into the Riot-sanctioned fold has effectively given any number of pro League teams the green light to start trying to recruit him. (The Daily Dot reports that he’s already agreed to join the North American team Cloud9). Permabans, as the name suggests, are the harshest form of punishment Riot can really mete out for toxic players. They can have a particularly big impact on players like Jensen because the bans often effectively preclude them from maintaining a career in eSports. Ostensibly, the change in Riot’s punitive standards was meant to fit in with their overall philosophy of improving in-game behavior by providing toxic players with tangible opportunities to rehabilitate themselves and reform their behavior, rather than just be kicked out of the game never to be seen again. Jensen was therefore allowed to keep playing League—albeit not at the same competitive level he might be sans permaban—and Riot could monitor his behavior to see if he’d actually improved at all with time and experience. It will interesting to watch how Jensen’s case plays out both for the eSports scene and the game’s overall community now that he’s back in the big leagues (no pun intended). On one hand, Jensen’s reincarnation (pun intended that time) could be seen as a sign that Riot’s new policies for reforming player behavior can indeed work just as well as they intended. And since pros have a bigger presence in the League community than others, Jensen’s successful reform—like any high-profile player’s actions—could make a big (hopefully positive) splash in terms of inspiring others to behave better as well. On the other hand, the presumed trickle-down effect of the way Riot handles toxic pro players could be entirely off-base. Cynics can easily see Jensen’s ban being lifted as nothing more than a political maneuver by Riot, given that he’s been a famous League player for years now and understandably receives closer attention from the player behavior team than another permabanned player of a lesser stature would. Like everything else in League, the game’s policies for addressing toxic behavior are always changing. Consistency is a problem here in a way it isn’t for something like, say, a champion’s attack speed. It even had an impact on Jensen following his original lifetime ban. Following the ruling, he started working as a coach for the pro League team SK Gaming...until Riot suddenly disallowed him from even being backstage with his team at tournaments. As the first totally un-permabanned League player at his level, Jensen is now a de facto test case for the latest iteration of Riot’s rejiggered player behavior policies. Assuming they continue focusing on player reform, he probably won’t be the last. Special thanks to Dillon Skiffington for all his amazing help with this story. UPDATE (3:09 pm): As I noted at the beginning of this story, Riot’s 2013 ruling on Jensen claimed that he had used DDoS attacks against opponents in League of Legends games, and bragged about doing so publicly. While that is true, I neglected to mention that this is just what Riot said. It’s not entirely clear if Jensen actually did engage in DDoS attacks, despite boasting about it online. The Daily Dot published an excellent report that looks into the legitimacy of Riot’s accusations last year, which I recommend reading for more information.